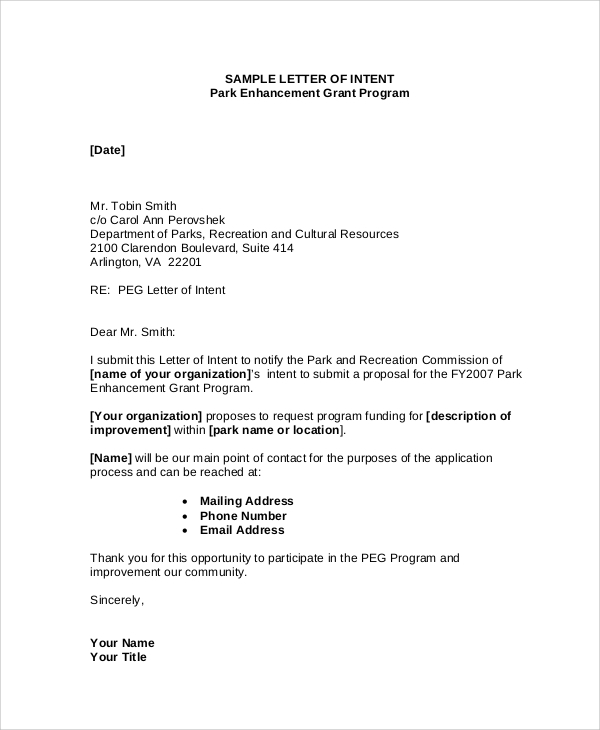 Letter of intent is the initialization of a process where the writer of the letter has the full interest to participate and achieve his/her objective. 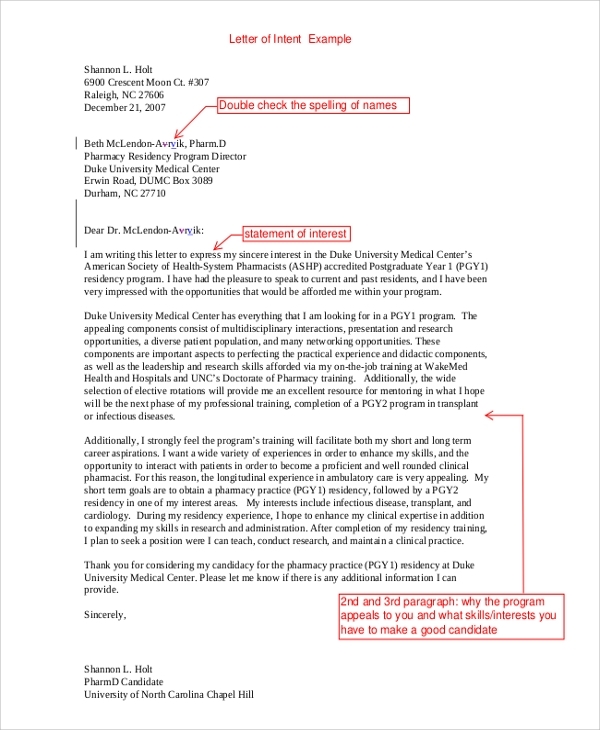 Most of the admission or recruitment processes begin with a letter of intent from the interested candidates. 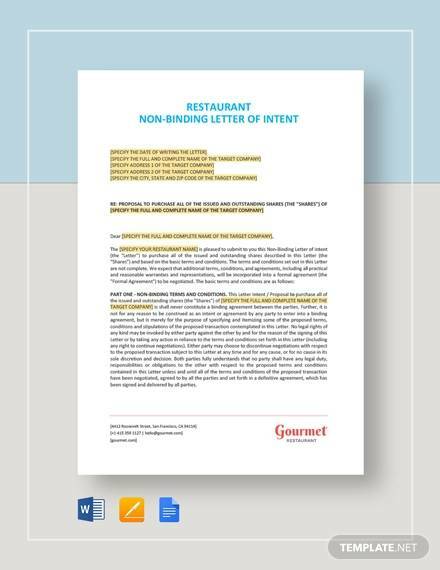 There are different types of letter of intent possible, and their writing style varies according to the objective they are meant to fulfill. 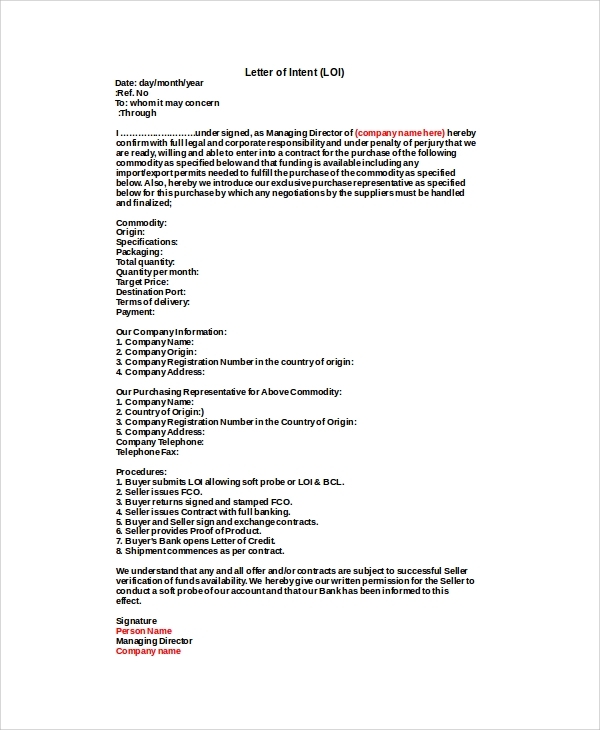 The following Sample Letter of Intent will provide the needed format with illustration. 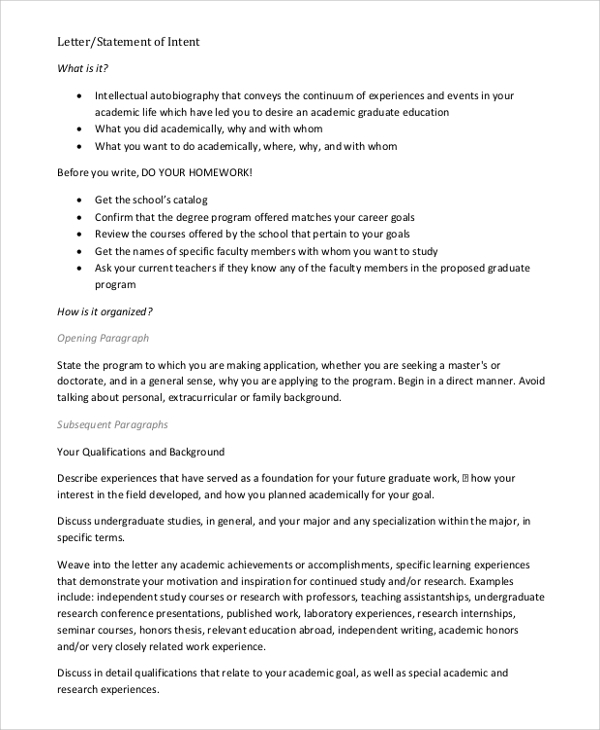 This is a sample letter of intent for expressing interest in taking admission in graduate school. It can also be for applying for a teacher’s post. It starts by giving a proper introduction and professional position of the person followed by the exact interest and justifying why he/she should be given a chance. This is a complete manual about how to write any letter of intent. 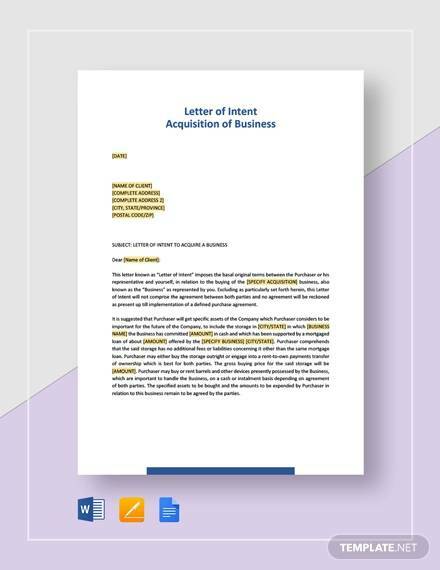 It explains what is a letter of intent, how to write it, what to cover in which paragraph, the styles of letter writing, the action words and phrases that can help you to achieve your objective. 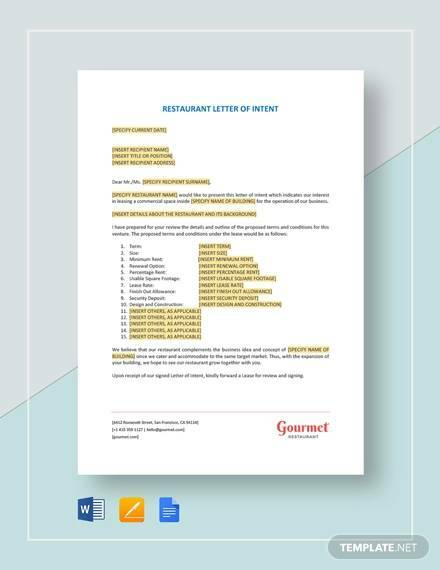 This is a complete Letter of Intent to apply for any job post, take part in events or even apply in a bidding for a project. 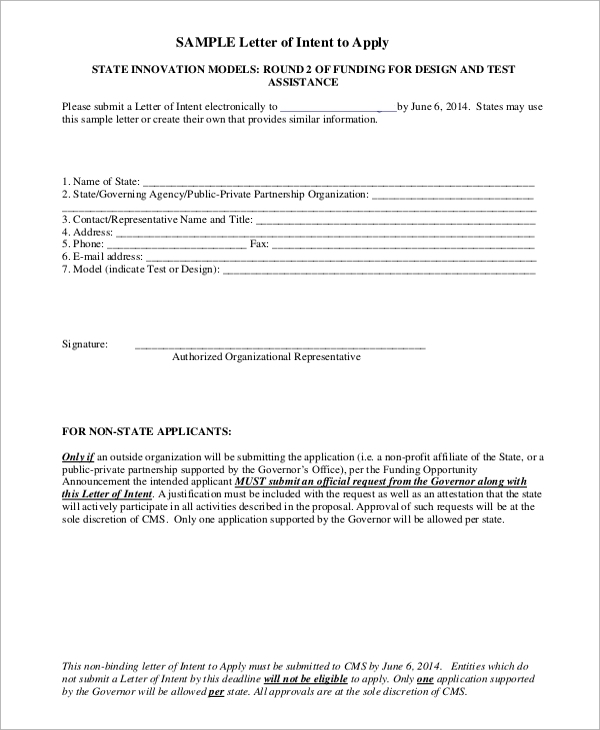 It provides a blank format to apply for any desired objective, and it is brief and to the point. 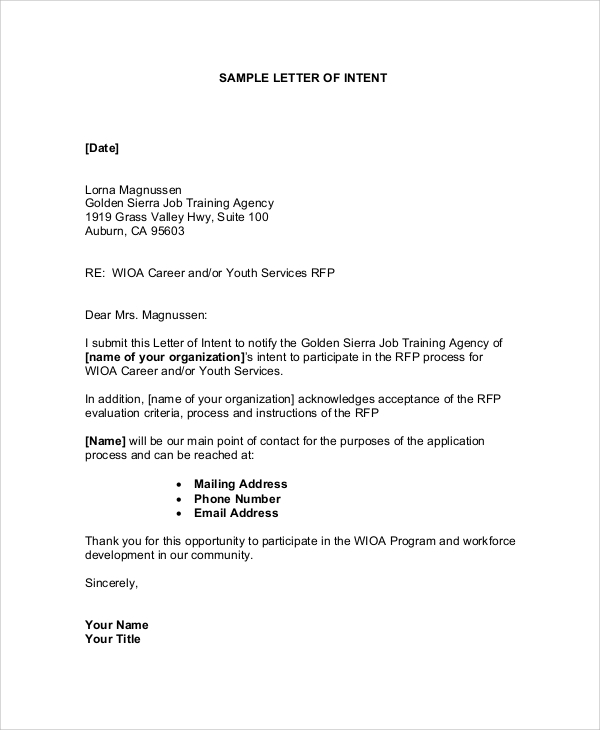 Letter of intent is the first step for expressing interest to the authority for achieving your objective. It must be interesting and intriguing enough to let the reader respond back and take the process forward. Different types of objectives require various types of letters of intent. 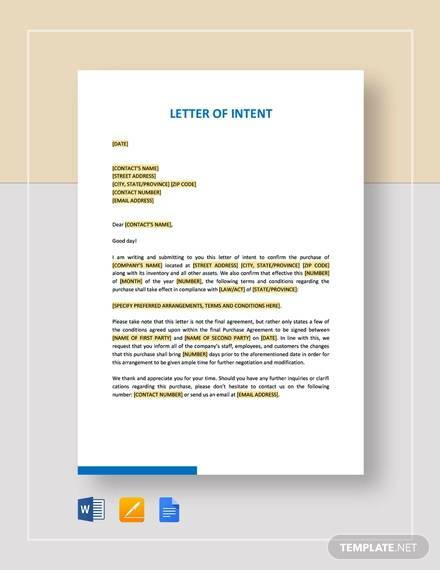 The above-listed Sample Letter of intent will give you the complete idea about how to tackle different kinds of letters of intent with ease and get your objective fulfilled. 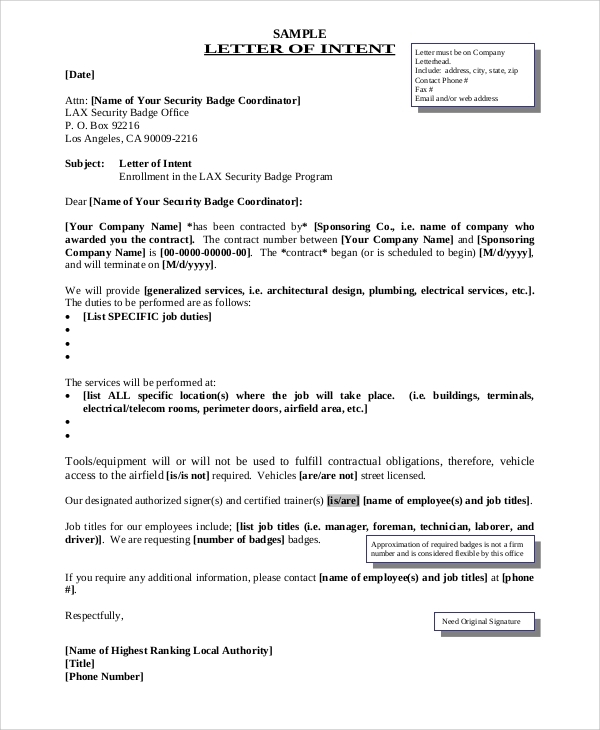 This is a perfect format and samples for a letter of intent for a job. It begins with a gentle introduction followed by reasons why someone is best for the job post advertiser and the passion that drives him to achieve a new height in the post offered. 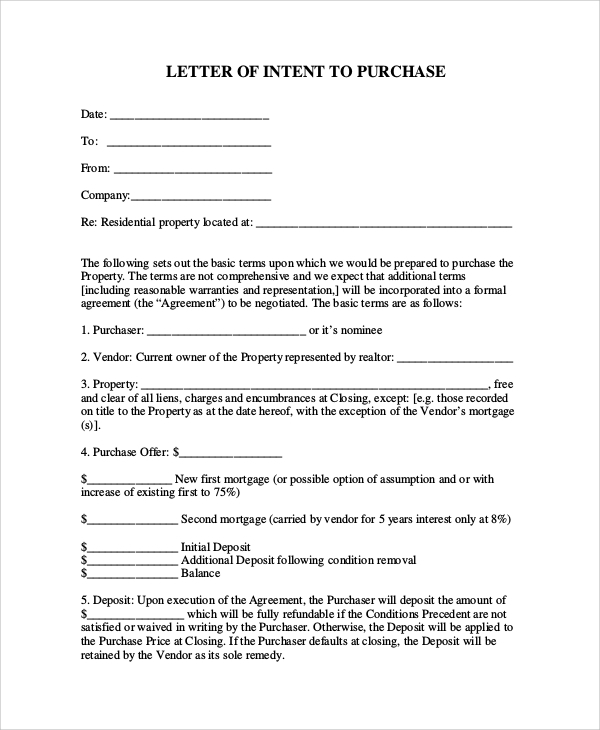 This is a letter of intent sample for purchasing any product or asset like a real estate property. 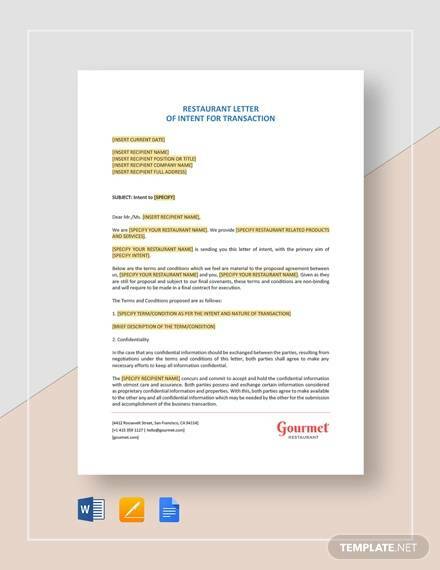 It contains space for the subject of the letter, purchaser’s details, vendor, property details, estimated purchase bid price, and a list of conditions. The targeted audiences for the Letter of Intent are the students who want to take admission in graduation schools and colleges. They are also suitable for the fresh graduates and experienced professionals to get a job of their liking. They are useful for corporates to express interest in buying stakes, applying in bidding project or start a collaboration. They are also used to purchase items and products of high value. 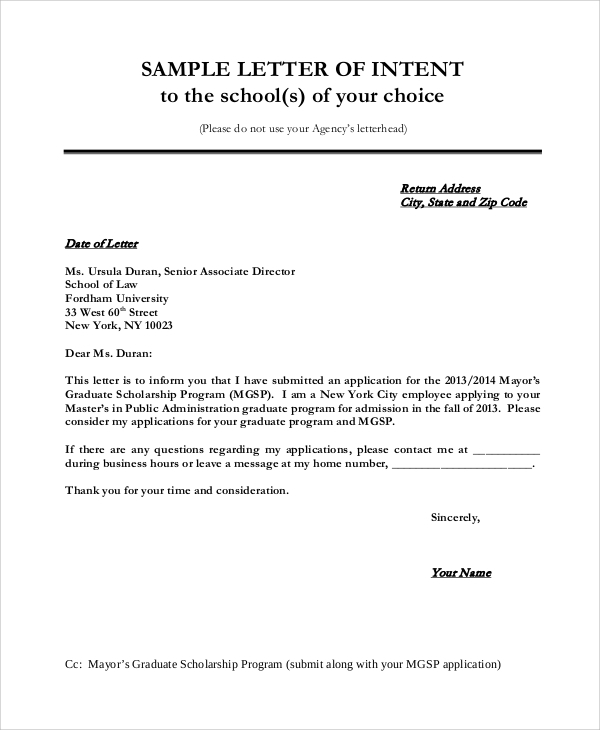 The above-listed Sample Letters of Intent are to apply in a job post, apply for admission in school and colleges, to take part in events, to participate in bidding and purchasing process and likewise. They provide the perfect format to follow and the convincing writing style will help you to get a reply and achieve objective effortlessly.